Over-the-counter medications for children are always a high risk. Some common over-the-counter medicines like pain relievers, cough syrups, cold medicine and digestion aids come with cups,spoons, syringes or oral droppers designed to help measure the proper dose. These "dosage delivery devices" have measurement markings like teaspoons (tsp), tablespoons (tbsp), or milliliters (mL) on them. Here are a few tips to avoid too much or too little of these medications. 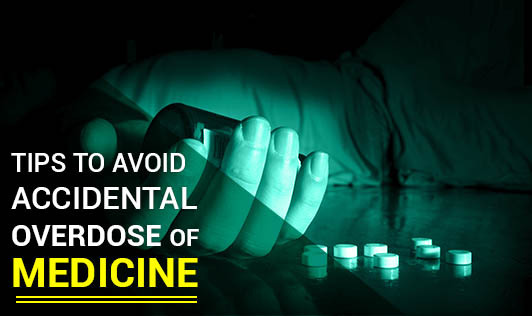 • Read the label every time before you give the medication. • Know the active ingredient in the medicine. It would be mentioned first on the drug fact list. If you are giving your child 2 different medicines and the active ingredient of both the medicines are same, then you will be giving double dosage. In such cases, it is wise to be consulting your doctor. • The same kind of medicine under the same brand name can be sold at different strengths for adult, children and infants. So, make sure you are giving the right kind of medicine to your kid. • Check the compatibility of the medicines with your doctor, nurse or pharmacist. • Use the dosage delivery device that comes with the medicine like the dropper or a dosage cup. • The caretaker or the parent should know the difference between teaspoon and table spoon, so that the right dosage can be given to the kid. • Never guess the dosage to be given to your kid with an adult dosage. If the dosage is not mentioned for your kid's weight on the dosage list, kindly consult your health care professional. • Store the medicines in a safe place. Most pediatric medicines are colorful, attractive and chewable. Kids may think it's a candy. • Check the medicine before using it. Check the outer box, then the inner box or bottles for slices, cut or tears.Check if the seal is intact. The most important thing to check for is the manufactured and expiry date of the medicine.